Grasp the opportunity to fill your classroom with autumn's warm and welcoming colours! Yellow, red, orange, pink, brown. As colourful as autumn. 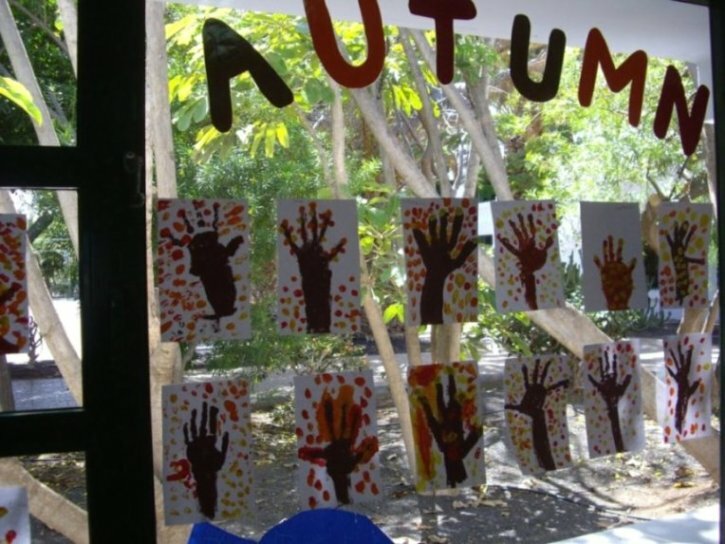 Let's do some decoration together with your students whilst you are teaching certain vocabulary and perhaps a little song, known as The Leaves are Falling Down with it. Young learners love singing and creating. They are going to love it if you build your classes around these two activities. Kids also remember better when they have the chance doing something related to whatever they are learning about. It also helps a lot to handle behaviour problems if their hands are busy with interesting things. You can easily teach or reinforce the seasons: Spring, Summer, Autumn/Fall, Winter. Start the class with a classic couple of questions about the seasons then narrow it till you get to autumn and its colours. Some pictures with trees or real leaves also help you to talk about the topic. Introduce the song. Sing it once then encourage them to join in with you. Time for a little art. 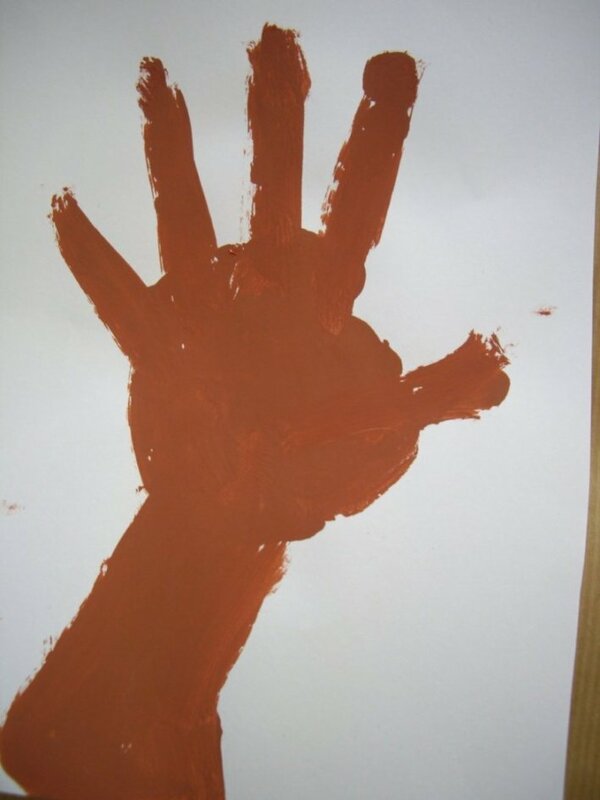 Give children paper, brown paint. Get ready with some yellow, red, orange, pink paint and optionally a paintbrush for later. 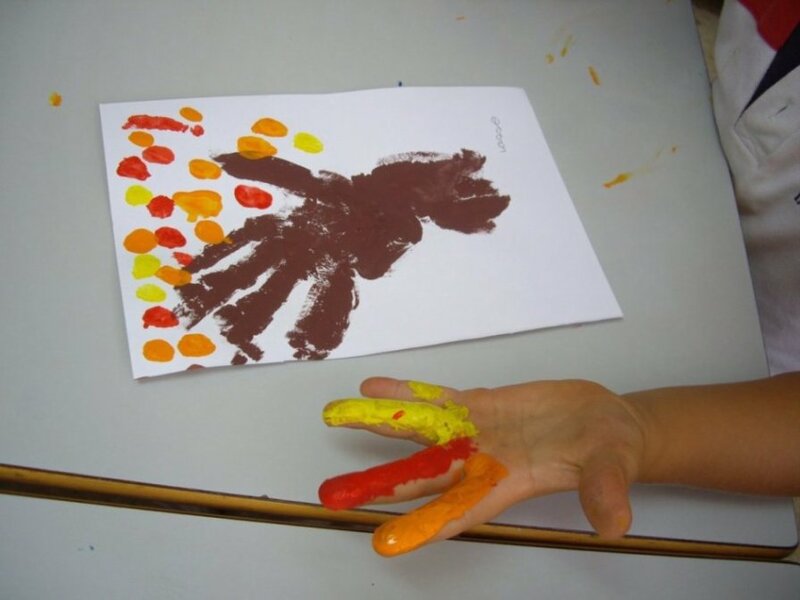 Show them how to paint their whole palm and a bit of their arm with the brown paint to make a hand print on the paper. Ask them what part of the tree it is to reinforce previously taught vocabulary. When everybody's finished with the tree trunk ask one more time about the leaves, colours and where those leaves can be seen in autumn. It gives you a chance to practise some prepositions such as on, under, etc. Let them choose what colours they want on their autumn tree. 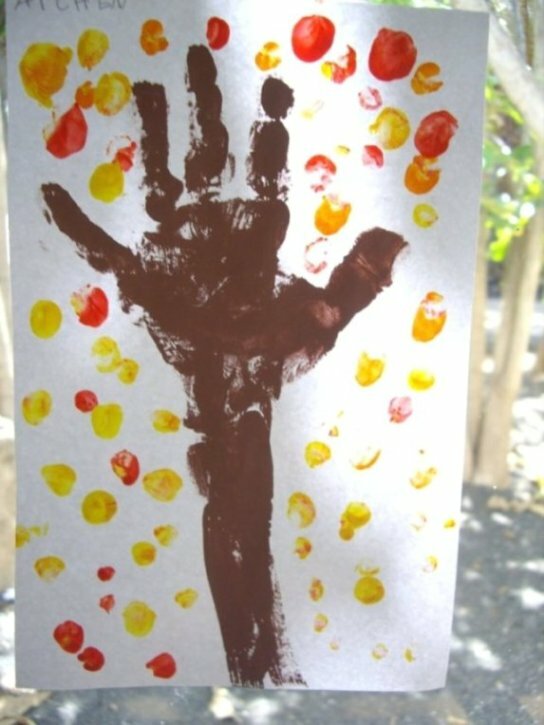 Children can either use their fingers or a brush to paint leaves on the picture. When their art work is ready let them dry and later on they can go on the display as a classroom decoration. Finally label the parts of the tree and the colours of the leaves to visually help children remember new words. Did your kids enjoy this activity? Have you changed anything to work it better for your class? Leave a comment below because we would love to read your feedback.